Just to get it out of the way, lets start with the GDPR features! I'm not sure yet if its a 'fun' feature when you're a developer. If you've talked to David Komárek recently, he sometimes looked to almost get a nervous breakdown from all rules and regulations. But hats off to the Kentico team for their willingness to help us comply with GDPR. Not just by enabling the product, but also by educating us all on the impact and actions to take. Still it's just like the Online Marketing module, it's not a magic switch you can now flip and let Kentico handle it. You'll have to plan what consents you need, build the collectors to enable the site administrators to respond on any requests. For help on implementation view the documentation, or check one of the many blog posts by Kentico. I've been a fan of CI since the birth of CI in Kentico and again this is a must have feature! CI will keep track all your DB object changes and save them into file system. But what if you need to intervene to migrate already present data. You'll dive into the database and make things right! Now you can add migration scripts to be run before or after each folder is restored so everyone gets things right! Details in the CI documentation. So for a long time there has been editors who need to change settings, but you don't want to make everyone an administrator. Usually you'll come up with storing the settings somewhere else, creating a custom module for it or let one person into that admin role. 4. All E-commerce price related fields now use the decimal data type! Speaking of headaches! All fields are now stored as a decimal value. This affect products, shopping carts, orders, payments, discounts, shipping costs, taxes, etc. Glad we've got that one solved! Keep this change in mind though when upgrading your site! Another pain resolved. People who do deployments for bigger teams often will recognize. You've deployed and all went fine! 15 minutes later you get a worried customer that he has some sort of hacker code on his site. An invalid macro signature. I've added deployment reminders to resign all macros. Add the same developer-users to all environments... all to try and overcome this issue. But nothing was a real good solution. Until now! Macro identities a bit like roles. You connect them to a user, and the macro will still work without the specific user being present. Note that this however makes it harder to determine who wrote (and signed) a macro! You'll have to connect your new identity to a user. I think it'll be a best practice this user isn't an active one. But purely used for the identities cause. Read more in the Macro documentation! Another often requested feature for Non-Administrators. Viewing the Email Queue! Did my mail send? Is it processing? giving an error? Wrong address? Bounced by SMTP?... Well editor, here are some permissions and go figure it out on your own! Keep in mind that some emails might include sensitive and/or personal data (GDPR!! Starts to hyperventilate). So don't just give every Andy permissions! 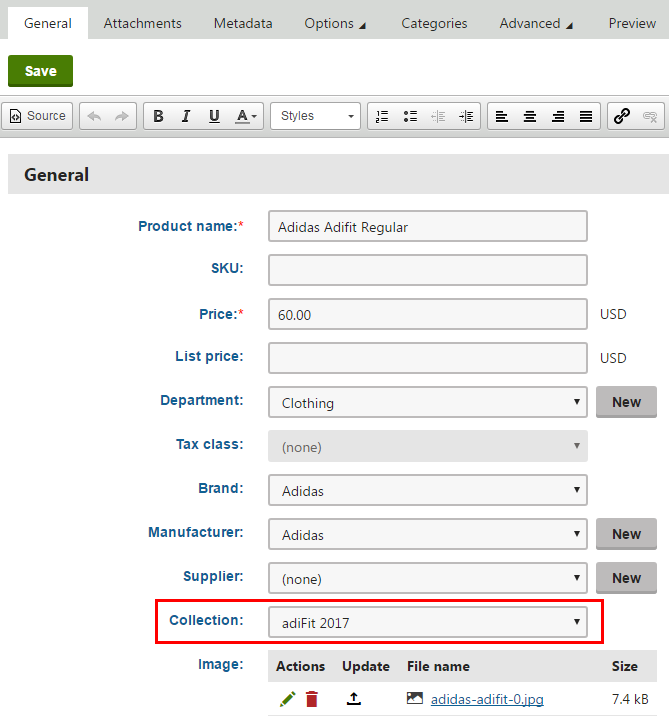 So apart from the changes under the hood there are also lots of new features in the E-commerce module. Collections and Brands are two new types to categorize your products. Not just for your editor or display as product information. You can also use them in additional features. Like discounts, search filters, or other types of promotions. Another new E-Commerce feature is the gift cards. It's not a big feature, until you have to custom build it. Although we've had all sorts of discounts (even with manual codes) it was not really a Gift card. Now is an out of the box functionality. Which does what you'd expect from a Gift card. Details on configuring and using Gift Cards. Search quite often turns out to be one of the toughest things to do right! You can't get away with half working search. You can build the best site in the world, but if people can't find what there are looking for there gone. The Lucene.NET search can do a lot, but you can't beat a dedicated Cloud-hosted SaaS solution if you want more and more advanced search features. Kentico 11 enabled you to use Azure Search by taking care of the data flows from your application to Azure. Since you're data is still managed in the CMS, its key that Azure Search know when it changes. Bryan Soltis wrote a blog about Kentico 11 and Azure Search some time ago, and being an Azure MVP he'll probably write a few more. But in the mean time you can view the documentation. Since you do have to take care of the display and user interaction with the search results yourself. While more and more people browse mainly on handheld devices, it's nice if you (actually instruct the device) can provide them with the proper keyboards when they need to enter a form. Kentico now supplies you with a HTML5 control out of the box. This is one of the quick wins you can have during a project, but you'll have to use them! So also instruct your client to use the proper controls. When upgrading think about changing towards these controls. Things like this will let a visitor feel more appreciated! Not part of Kentico 11, but the Technical partnership between Kentico and Ucommerce is a Major one. Starting a new project needing specific E-commere capabilities? Check out if Ucommerce or Kentico E-commerce module fits best. As there is no switching mid-way. You can do a free Developer training online to get you started.